all night but you are never among them. Such a sensuous phrase that “oily, voluptuous”! a dainty mouse seeking shelter. I have so far sought to give the full credit which is amply deserved by individual poems. I have to say however that the collection as a whole seems to me to suffer from an over-investment in the uncanny and supernatural. The narrative poetic voice, whether using the first or the third person, does not seem to vary very much and there are too many, rather similar, poems about transformations and the like. A number of pieces like ‘Black Annis’ and ‘Ceridwen’ evidently refer to figures from various folk-lore traditions; but the absence of any explanatory notes meant that it was hard for this reader to distinguish between them. It is unfortunate but necessary for me to make the preceding negative comments; but they are not intended to detract at all from the positive views expressed in the major part of this review. 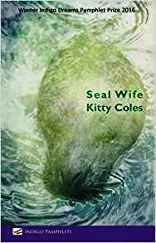 Kitty Coles clearly has a powerful imagination, a good ear and can make very creative use of language. If she can begin to increase her range then her future collections will be something to look forward to.